You're probably well-aware that successful cleaning of an expensive or unique rug takes a lot more effort than using a generic rough-treating machine. Instead of seeing rug cleaning as a one-size-fits-all profession, at Palm Beach Oriental Rug Cleaning Pros, we've made a specialty of treating no two rugs the same way. 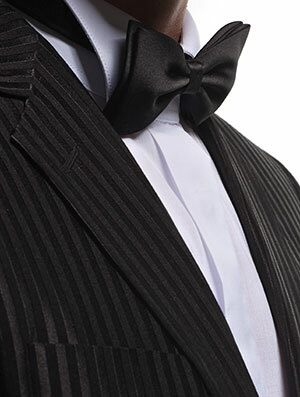 We feel that only such a 'personalized' approach can yield desirable results. 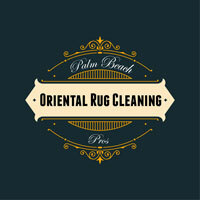 Palm Beach Oriental Rug Cleaning Pros are the best oriental rug cleaners when dealing with rugs requiring special care. Feel free to have any old cleaner work on that rugged rug in the hallway of your building that handles massive amounts of traffic on a daily basis. Palm Beach Oriental Rug Cleaning Pros have 30 years of rug cleaning experience and we offer an individualized service for your rug cleaning needs. 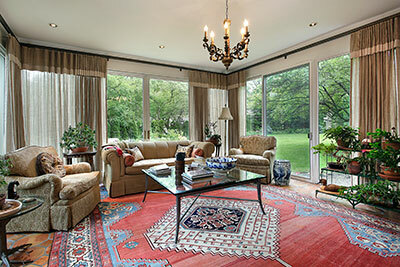 We offer pickup and delivery, as well as a no obligation quote from our professional rug cleaning experts. Our rug cleaning service is unmatched in Palm Beach. Give Palm Beach Oriental Rug Cleaning Pros an opportunity to provide you with our professional touch and expert oriental rug cleaning. You have our promise and guarantee that our rug cleaning will clean your Oriental, Persian, Antique or area rug and restore it's natural beauty. For the exquisite silk rug you paid thousands of dollars for or that dreamy Persian design decorating your favorite room, however, you'll need someone with a learned touch. 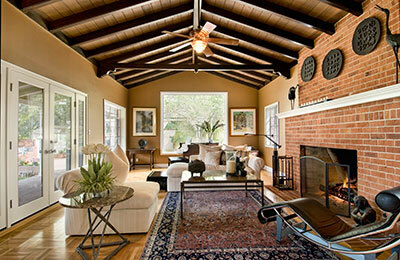 Here is how we treat the fine rugs we are tasked with cleaning. No good strategist goes to battle unprepared, so we'll make certain that we know your rug like the back of our hands before we start any cleaning. Most of the time, several of our expert technicians will be present during the examination process – this lets them exchange opinions regarding the rug's age and materials until an agreement is made. Two heads think better than one, and many heads of experienced veteran cleaners will guarantee knowledge of who made your rug, when and how, as well as all of the materials it contains. We'll finish every examination with an in-depth dye check to analyze the possibility of discoloration, and in turn eliminate it. By the time water touches your rug, we know there is no chance of color loss anywhere on the surface. Before applying water, we'll blow-dry the rug or create turbulence (when advisable) to dislodge as many dry particles of dirt as possible. This reduces the spread of dirty water throughout the rug once we begin the actual cleaning. If possible, we'll aim to treat the dirtiest rugs by fully submerging them in water. This is our favorite precursor to hand washing, as the method automatically deals with most of the grime left behind after our dry cleaning. Usually, when we start hand washing, there is very little actual dust or dirt left in the rug. We can focus on cleaning the few remaining difficult spots, as well as gently addressing any stains present. Afterwards, we'll rinse the rug with just enough force to remove any dirty moisture based on how durable the fabric and its colors are. We haven't had many instances of not being satisfied with the state of the rug once it's dry. However, in rare cases, a dried-out rug will sometimes reveal unfinished business. Here, we'll repeat the necessary steps listed above while avoiding subjecting the rug to additional stress. Since by this point we'll already have a great idea of how to best treat your individual rug, any repeats we do usually take a small fraction of the initial time and always yield complete results. We'd like to get one thing out of the way first: we never shy way from cleaning a rug, no matter how expensive it is or how delicate its fabric might be. Thanks to our knowledge and experience, we have no reason to expect anything but the best results on all of the most iconic high-end rugs. While other companies might outright refuse to clean an antique Oriental or a silk rug worth tens of thousands of dollars, we'll gladly accept the task. Once you know what to expect, even a lengthy and multi-leveled cleaning process feels like one continuous motion. Most often, the issue with cleaning high-end rugs is that they're unique – if you make a mistake, your client has no way of replacing the rug. Fortunately, we can promise no mistakes will be made during our cleaning, as the entire process is formulated beforehand. Nothing says "unique rugs" like those that are made by a country's indigenous tribes. They carry the spirit of an entire group of people, and they certainly look the part: rare dyes found in deep nature, hand-prepared fabrics and fibers, very specific weaving techniques. Each tribal rug is the only one of its kind, which is why our safety guarantee is paramount. Aside from tribal rugs, other unique pieces we work with include Oriental (China, India...), Islamic (Persian, Kilim) and various European imported rugs (Belgian wool, Greek flokati). Aside from these predominantly-handmade designs, we also clean a variety of expensive tufted or machine-made rugs, like those made by esteemed companies such as Karastan, Axminster or Wilton. In short, if you have a rug that needs special treatment, Palm Beach Oriental Rug Cleaning Pros are here to provide it.